During the season of Lent, the Catholic tradition, observe the practice of not eating meat on Fridays, and often opt for fish or seafood instead. Tired of the usual fried fish? Try this sweet and tangy dish, even your little picky eaters will love this. You’ll find in your pantry everything you need to turn your simple fried fish into this family favorite. 1. 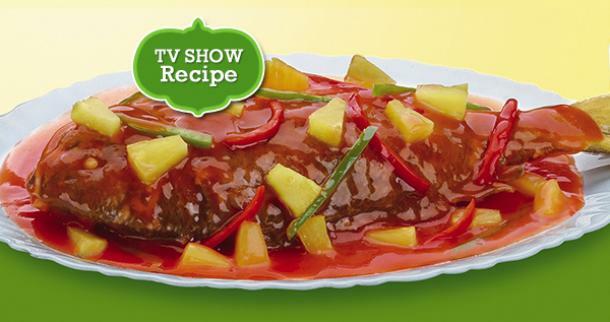 Sprinkle fish with calamansi juice and salt, then sprinkle with flour. Fry until golden brown. Set aside. 2. For the sauce, combine ingredients (except flour) with pineapple syrup. Stir. Simmer uncovered for two minutes. Add dissolved flour. Simmer with continuous stirring until thickened. 3. 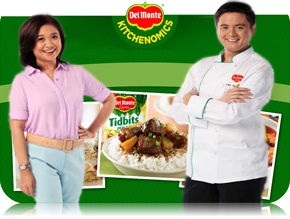 Add Del Monte Pineapple Tidbits and bell pepper. Allow to Simmer. 4. Pour over fish. Top with green onions.